Deadline is coming right up on Monday, so I thought I'd repost this to remind everybody to send their poems in! Note the change from the originally planned date-- the reading is now set for May 11. 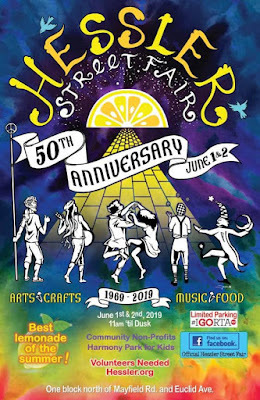 Writing Knights has announced the 2019 Hessler Street Fair Poetry Contest. The Hessler Street Fair Poetry Contest is one of the longest-running poetry events in Cleveland, it features cash prizes, and it's free to enter. 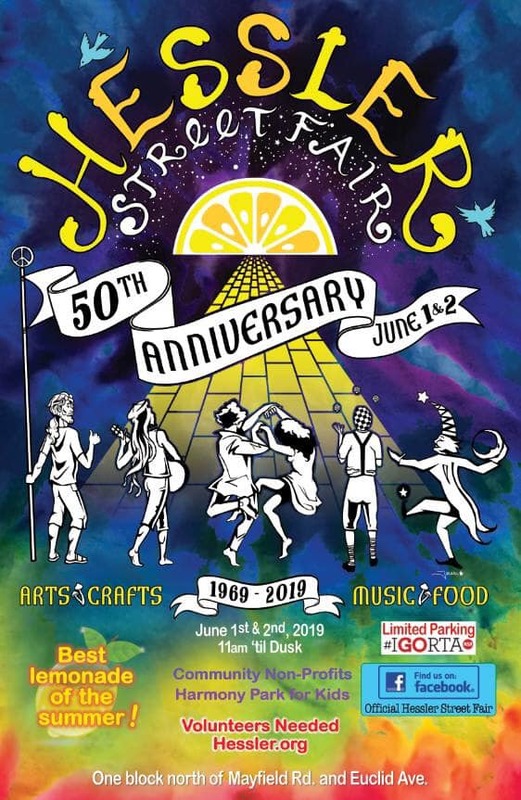 The best of the poems submitted are selected and printed in the Hessler Street Fair anthology, and the poets are invited to read their poems at a reading in May to select the winners. The top poets will earn a slot to read on the main stage at the fair (simulcast on the radio), June 1 and 2, 2019. Contest submissions close on April 15, so get your poems in now! The reading for the contest top places will be held at Unitarian Universalist Society on May 11, 2019 at 7pm. About 20 minutes after all participating poets have read, the winners will be announced and prizes handed out. If you have won 1st, 2nd, or 3rd Place in the Hessler Street Fair Poetry Contest in the last three years, you are welcome to submit to the book and read your poem, but you will not be eligible to win a prize. Please note that I have updated this blog post to show the changed date of the reading.